Óbidos as you want to know! XPress Óbidos Tour is like knowing the village and their walls, its heritage, culture and art, one of the most beautiful villages in Europe. To ensure that you take advantage of the most of your stay in Óbidos, Goobidos ensures a guided tour to the main elements of the village heritage with a top guide that will take you to an amazing experience within “toupeiros”, a local drink, and will invite you to taste the local liquor, the famous Ginja, but also presenting you the castle and its rich interior. XPress Óbidos Tour is adjusted to the all visitors’ needs, with several locations where they can rest while tasting some of the local delights. 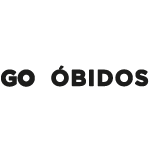 XPress Óbidos Tour – Get to know Óbidos with GO!